Raised by artistically-inclined parents, Raina came up through the Waldorf school and learned to play several instruments at a very young age, while Isaac spent countless hours teaching himself how to produce and record music in his mom’s basement. After honing his sensibilities by recording his and Raina’s early work, he went on to record Disq’s first full effort, 2016’s mini-LP Disq I. Isaac then began recording his friends’ bands in that same basement and in under two decades’ time, Disq had released their first project, helped usher in other new talent through Isaac’s engineering work and been asked to open up for the likes of Whitney, Twin Peaks, Jay Som and Quilt as those bands toured through Madison. 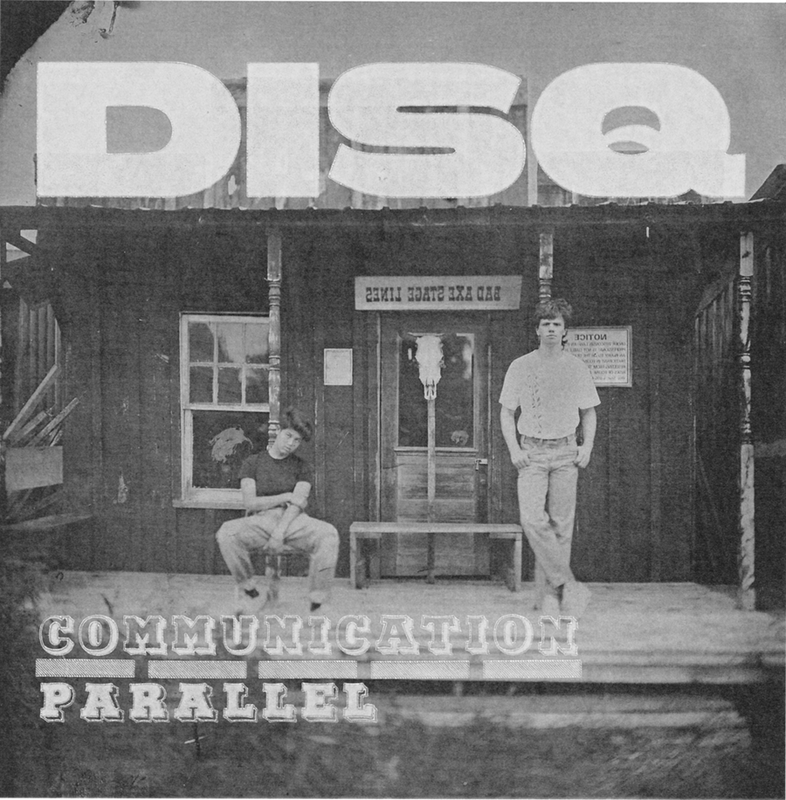 Now, after hitting the road, the band will release a 7” titled “Communication b/w Parallel” as part of Saddle Creek’s Document Series, dedicated to highlighting artistic communities around the world that haven’t quite gotten the spotlight they deserve. 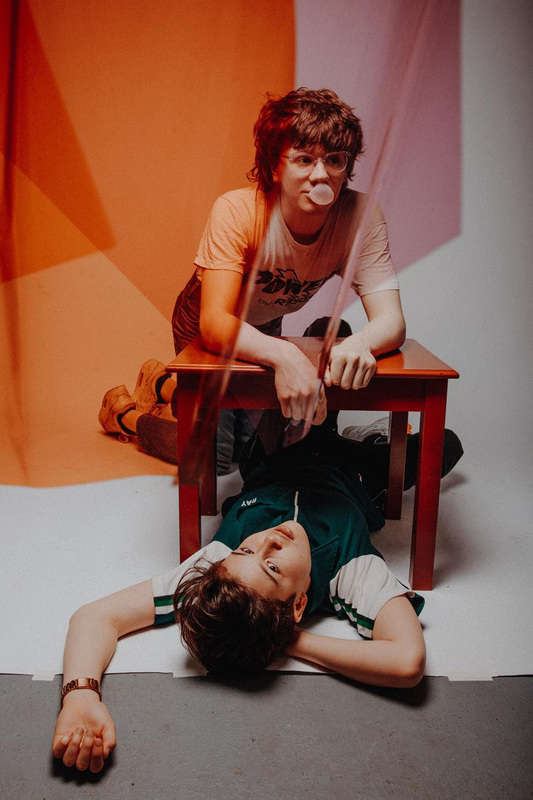 And as much as Madison has been a breeding ground for the band’s creativity—a place to find inspiration—what also provides crucial context for both “Communication” and “Parallel” is this moment in time when the band is coming of age. Young people have unprecedented tools and technology for maintaining nonstop contact with far-flung family and friends, yet ironically both songs reflect a growing frustration with how ever-more difficult it is to truly find connection, understanding and intimacy in our lives despite devices and social media. “Communication” is a big, crunchy power pop anthem, the type of song most bands work for years to produce. Both the song and its video—entirely conceived and produced by a group of friends, all iGen—speak to the ways we so desperately want to feel seen and understood yet so frequently misconstrue each others’ words and intent. Side B “Parallel” is immediately driven by Isaac’s stoically laconic vocal delivery that drones on until it blends seamlessly into a kaleidoscope of psychedelic sounds that evoke more contemporary galvanizers Tame Impala with production flourishes that recall Rundgren. It addresses the dissolution of a deep and meaningful relationship, and this universal experience of grief and loss is recounted by a voice attempting to ruminate on what it means to forge connections in a time when young people are completely redefining community in new and evolving ways.